These 1.5-1.75" long, elegantly-shaped, simulated wood hooks have been carefully hand-formed and then meticulously polished to an attractive shine. A ring has been added so charms or other dangly earrings can be worn. 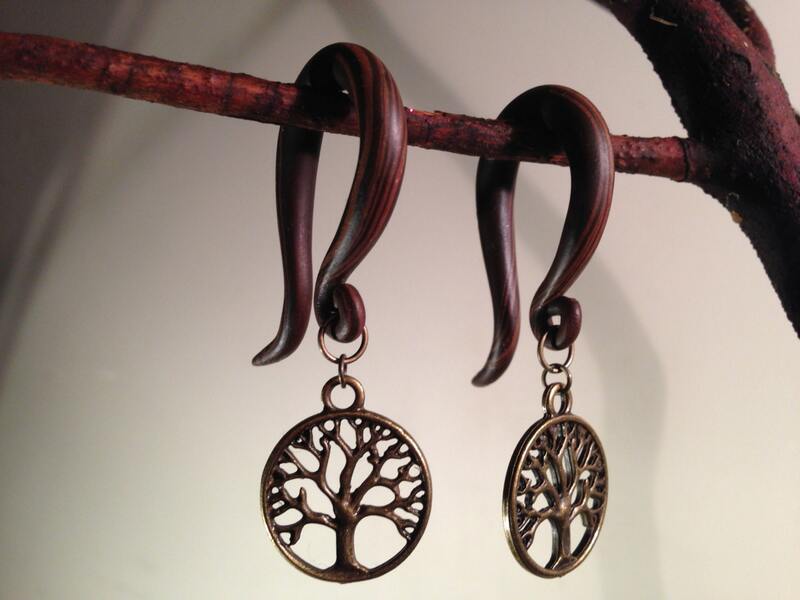 This style comes with brass Tree of Life charms. 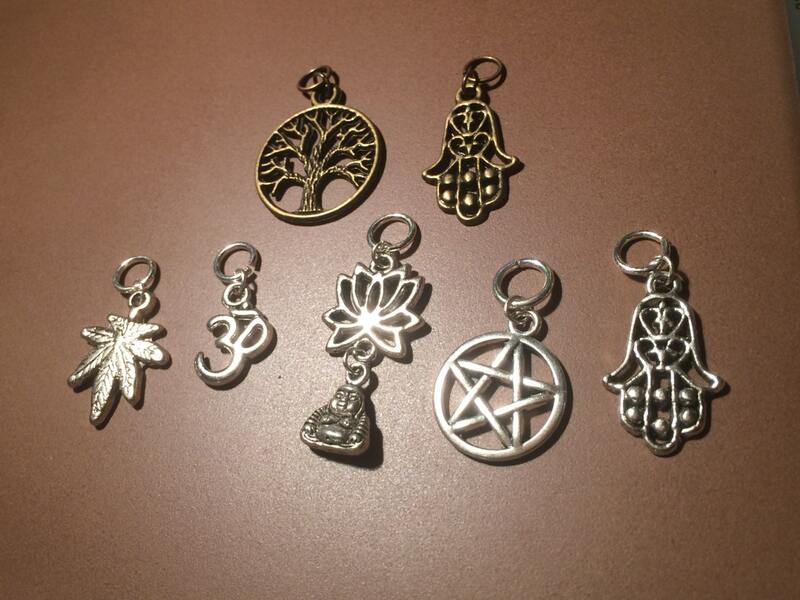 If you are handy with pliers, you can switch out other earring dangles you might have in your collection and wear them on these gauges, or choose another dangle charm from the drop-down menu and I will add them for you. You may also order them in another size using the drop-down menu. They are available in sizes 8 to 00. Shipping is free on this item, by the way. 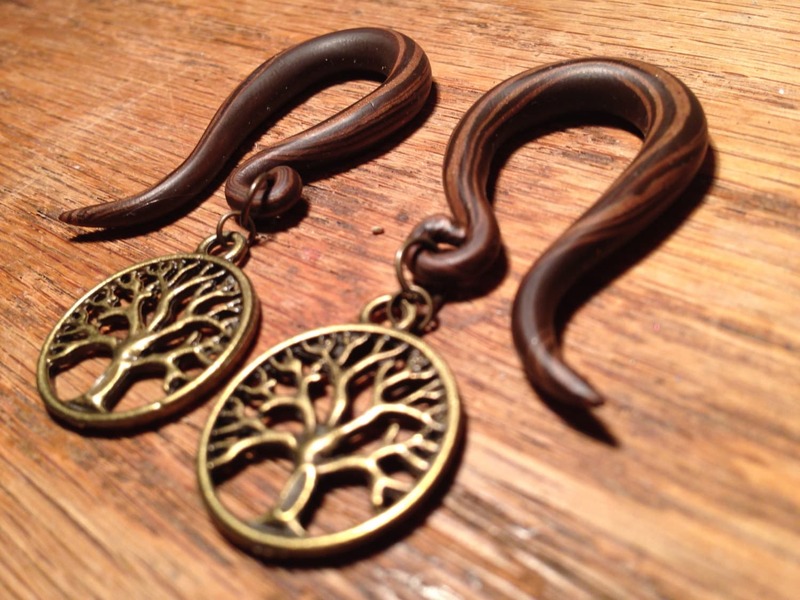 Made from polymer clay which is an acrylic polymer, these earrings are suitable for anyone whose ears are fully healed. 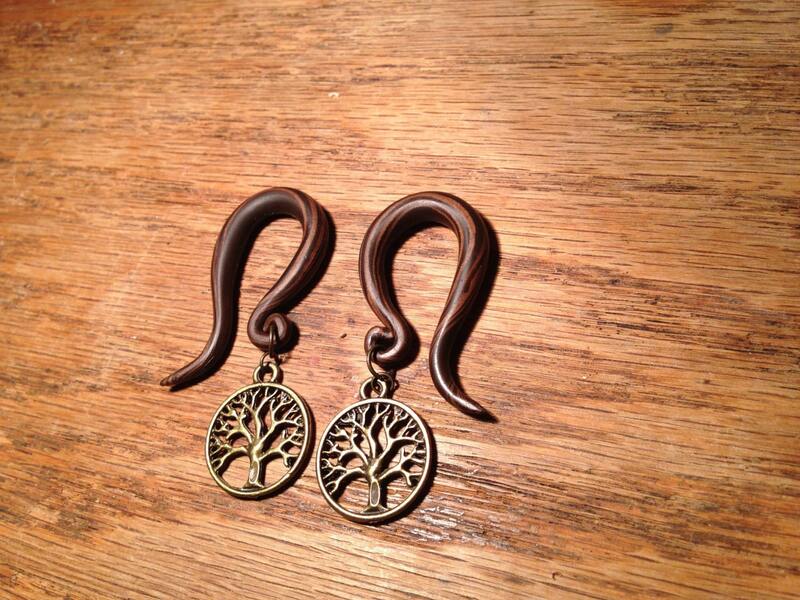 It is not recommended to wear polymer clay earrings in new piercings or to stretch your piercings. and if you have any redness, swelling or infection present, refrain from wearing polymer clay earrings until the problem resolves. It is best to take them out while showering or swimming. The earrings have been polished with a custom blend of organic oils to maintain the natural shine and to ease them into the ear. I will soon have some more of this "ear butter" available which can be added to your order, so you may inquire if interested and I'll let you know if it's available. The earrings I have listed so far are examples of what is possible with this medium, and I am still playing around with new designs. I would be happy to create a custom pair for you in a particular color, shape or size, so please feel free to contact me with your ideas. Please allow up to 2 weeks for gauged earring orders, as I may not have your size in stock and would then make it to order. In most cases I can ship within 3-5 business days. Super cute and comfy! Shipped in good time and happy to support a great artist/crafter! I just got the these in the mail and I love them!! I have been waiting so long.